How to watch Phineas and Ferb: Season 4 (2012) on Netflix Philippines! Sorry, Phineas and Ferb: Season 4 is not available on Philippine Netflix, but you can unlock it right now in the Philippines and start watching! With a few simple steps you can change your Netflix region to a country like Germany and start watching German Netflix, which includes Phineas and Ferb: Season 4. 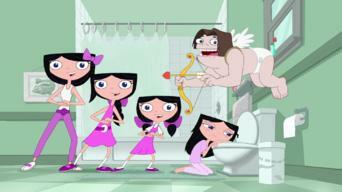 We'll keep checking Netflix Philippines for Phineas and Ferb: Season 4, and this page will be updated with any changes. Phineas and Ferb: Season 4 is not available in Philippines BUT it can be unlocked and viewed! Phineas and Ferb invent, scheme and stay one step ahead of their bratty sister. 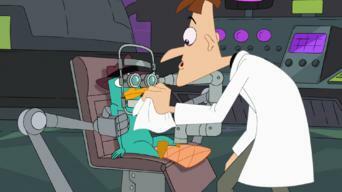 Meanwhile, their pet platypus plots against evil Dr. Doofenshmirtz. These stepbrothers are all about fun and adventure. Their pet platypus is a super spy. They're perfect friends! Season 1 of Phineas and Ferb has 26 episodes. Because different Netflix countries have different availability for episodes, you'll need to check the episode listing below to see which are available in the Philippines. Phineas and Ferb build the coolest rollercoaster ever in their own backyard. / On Candace's birthday, the family takes a trip to Mount Rushmore. The Fast and the Phineas / Lawn Gnome Beach Party of Terror! The boys convert Mom's car into a giant remote-controlled car. / Phineas and Ferb decide to make a tropical beach paradise in their very own backyard. Phineas and Ferb wrangle a stampede of cattle through the city streets. / The boys create a mountain of snow in the middle of summer! In an old theater, Phineas and Ferb search for a mummy to call their own. / Phineas and Ferb conspire to become one-hit wonders. Raging Bully / Lights, Candace, Action! 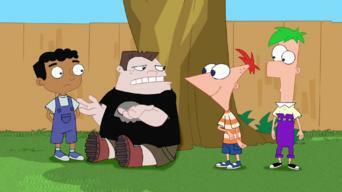 Phineas is challenged by Buford to an all-out thumb war. / Candace has an opportunity to become a glamorous movie star! 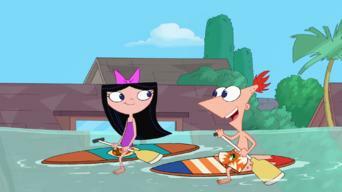 At their grandparents' mountain cabin, Phineas and Ferb organize a day of summer camp activities. / Phineas and Ferb build a monstrous tree house. Phineas and Ferb fix an unfinished time machine and take Candace along on an adventure that brings them face to face with a Tyrannosaurus Rex. 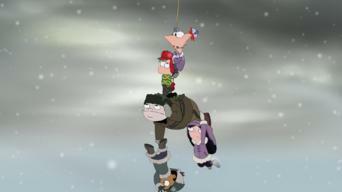 Phineas and Ferb make their own circus when the real circus performance is canceled. / Phineas and Ferb invent a new Perry the Platypus toy. When Isabella gets an extreme case of hiccups, the boys attempt to scare them out of her by creating a haunted house full of shocking surprises. Phineas and Ferb recreate a medieval tournament in England. / Phineas and Ferbs create an army of robot clones to get all their projects done. Phineas and Ferb throw a big birthday bash for their mom. / Phineas and Ferb are accidentally transported by their minisub into Candace's body. Phineas and Ferb's new fashion line destroys Candace's chances at supermodel stardom. / Phineas and Ferb attempt to build an ice cream sundae machine. Candace has trouble learning to parallel park, so Phineas and Ferb build her a monster truck. / Grandpa Clyde sings about a pirate called Badbeard. Phineas, Ferb and Candace decide to get their mom and dad's favorite band, Love Händel, back together for a reunion concert in their backyard. Candace and Stacy win a chance to spend time with their favorite band, the Bettys. 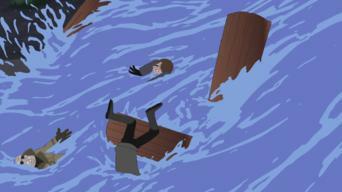 / Phineas and Ferb help Grandpa Fletcher become a daredevil. 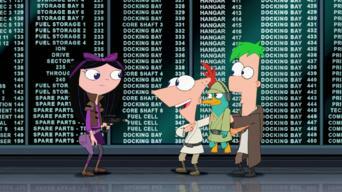 Phineas and Ferb are shipped off to military school when Candace reveals to the boys' mom what they've been up to. Greece Lightning / Leave the Busting to Us! Phineas and Ferb re-create an ancient Greek chariot race. / Candace enlists a reality show to help her bust Phineas and Ferb. Phineas and Ferb set up a roller derby rink for Grandma Betty Jo. 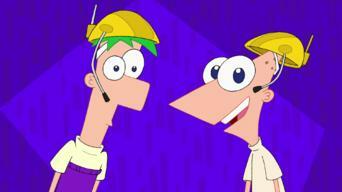 / It's such a nice day that Phineas and Ferb decide to do nothing. Phineas and Ferb uncover a caveman at an archeological dig. / Phineas and Ferb set out to find Buford's missing goldfish. While Candace is sick in bed, she asks Stacy to monitor Phineas and Ferb. 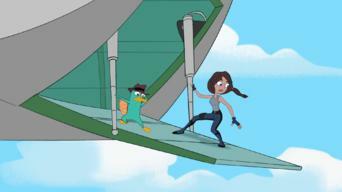 / Phineas and Ferb's body transporter actually works on Candace and Perry. 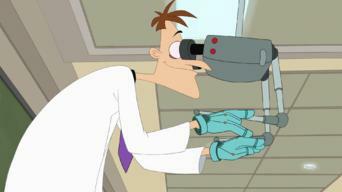 Candace discovers a camera with hours of evidence against Phineas and Ferb. / Phineas and Ferb decide to build the world's largest bowling ball. Grandma and Grandpa Fletcher tell the boys about their great, great ancestor who built a monster. / Phineas and Ferb help an artist showcase his art. 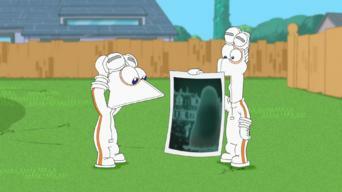 Phineas and Ferb help Baljeet with his science fair project -- a portal to Mars! / Candace travels through Baljeet's portal to Mars. After Mom and Dad have a star named after Phineas and Ferb, the boys decide to travel by rocket to get a better look at it. Isabella challenges Buford to a sports contest. / Candace meets Jeremy in the park and is upset Suzy is there. Out of Toon / Hail Doofania! Phineas and Ferb appear as cartoon superheroes. / When his brother is elected governor, Dr. Doofenshmirtz decides to start his own country. Season 2 of Phineas and Ferb has 40 episodes. Because different Netflix countries have different availability for episodes, you'll need to check the episode listing below to see which are available in the Philippines. The family goes camping on a lake, where Candace wreaks havoc among vacationers by spotting a strange creature in the water. The boys wonder what Perry is really saying when he makes his little noises. 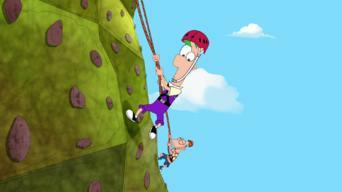 / Phineas and Ferb raise "aglet" awareness. Phineas and Ferb help Baljeet win a vegetable-growing contest with phineasandferbalizer. / Phineas and Ferb build an aquarium in the backyard. 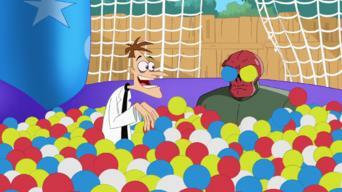 Phineas and Ferb fill up Isabella's swimming pool with gelatin. / Phineas and Ferb's grandparents introduce the boys to Sherlock Holmes stories. Candace decides to find out where the boys' inventions go every day. / Phineas and Ferb create the chicest platypus-themed restaurant in Danville. Phineas and Ferb believe that a fallen bird egg came from Perry. / Phineas and Ferb create their own video game selection. While playing with a new baseball pitching gadget, Phineas and Ferb accidentally knock an alien craft out of the sky and into their backyard. 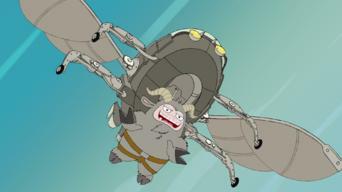 Thaddeus and Thor / De Plane! De Plane! Relatives of the next-door neighbors bear a resemblance to Candace and the boys. / The boys set out to build a plane bigger than the Spruce Goose. Candace worries that Jeremy will leave her behind. 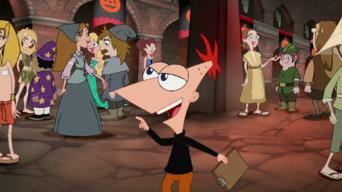 / Phineas and Ferb decide to help Isabella, and the Fireside Girls meet their fund-raising goals. 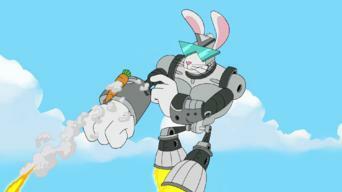 Perry is assigned to take down a dangerous villain. / The Flynn family becomes shipwrecked on a tropical island. 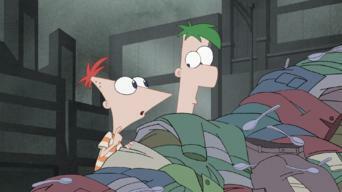 Phineas and Ferb shrink everyone down to play hide-and-seek indoors. / Phineas and Ferb create a romantic cruise line for Baljeet and a girl he likes. 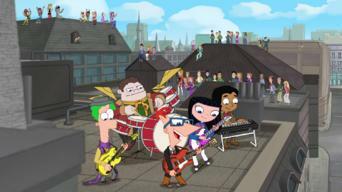 Phineas and Ferb help Baljeet prepare to headline a rock concert. / Baljeet and Vanessa both want an item that Doofenshmirtz needs. Phineas and Ferb set out to create working X-ray glasses. / Candace and Stacy's spa day plans inspire Phineas and Ferb to create their own spa. Phineas and Ferb use a time machine in the museum to head 20 years into the future! Monogram and Doofenshmirtz host a music video countdown! Baljeet rides in a giant bubble. 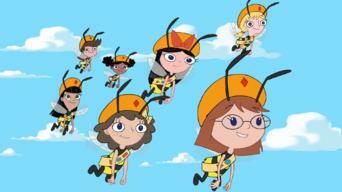 / Isabella and the Fireside Girls go on a quest to obtain a key ingredient for Phineas and Ferb's bubble solution. Candace jumps to conclusions when Jeremy breaks a date with her. / Candace tries to become a Fireside Girl in order to get into a sold-out concert. After Baljeet saves his life, Buford pledges to become Baljeet's servant. / Phineas and Ferb help Candace hunt down a lost doll. Phineas and Ferb have fun with a teleportation device. / Phineas and Ferb help Jeremy become a great dancer for a TV dance show. Phineas and Ferb reverse engineer a mysterious invention to figure out what it does. 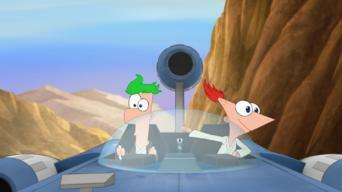 / Phineas and Ferb set out to find the lost city of Atlantis. With Christmas just around the corner, Doofenshmirtz activates his "Naughty-inator," and all of Danville appears to have turned naughty. The boys invent a device to let them pass through objects. / The boys' outrageous decorations threaten to ruin Candace's big day as a bridesmaid. Candace enters a father-daughter race with a Lawrence robot. / Candace's mortal enemy, Little Suzy, helps her bust the boys. 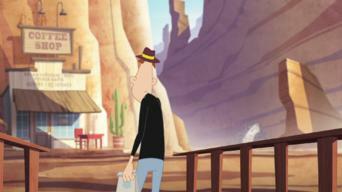 Carl goes undercover to stop Phineas and Ferb's shenanigans. 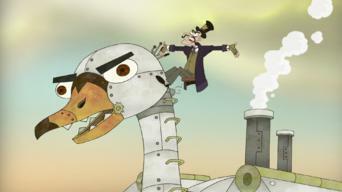 / Phineas and Ferb create the ultimate floats for the Tri-State Area Parade. Candace believes Ferb has been abducted and replaced by an alien. / Phineas and Ferb soup up a kiddie ride outside the local Tri-State Mart. Not Phineas and Ferb / Phineas and Ferb-Busters! Baljeet and Buford pose as Phineas and Ferb to impress Irving's older brother. / Candace puts together a team of busters to bust her brothers. Ferb befriends a chameleon that grows to gigantic proportions. / Candace tries to show how responsible she is while busting the boys' robotic rodeo. Isabella investigates to find the true identity of a metallic superhero that is rescuing people left and right. Candace becomes an honorary mayor and uses her powers to try to bust the boys. / Phineas and Ferb create a lemonade stand empire throughout Danville. Candace decides to take a vacation from busting, unaware that Phineas and Ferb are growing giant sea monkeys that they can romp and play with. Phineas and Ferb plan to travel around the world in one day. Meanwhile, Candace wonders if she should go along with the boys to visit Jeremy in Paris. It's the longest day of the year, and Phineas and Ferb plan to make the most of it by traveling around the world in one day. Parts 1 & 2. It's the longest day of the year, and Phineas and Ferb plan to make the most of it by traveling around the world in one day. Parts 3 & 4. At the annual science fiction/comic book convention, Phineas and Ferb are swept up into the duel between the fantasy fans and the sci-fi fans. Phineas and Ferb spin the house in order to clean it more quickly; Candace -- who's inside the house -- wakes up in the magical land of Odd. We Call It Maze / Ladies and Gentlemen, Meet Max Modem! 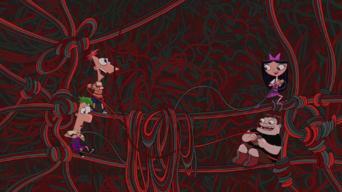 Phineas and Ferb create a human-sized maze filled with obstacles. / Dad enlists the boys' help to turn him into a pop star. Candace takes a class to learn how to achieve her goal: busting the boys. / Candace teams up with Irving's brother to try to bust her brothers. 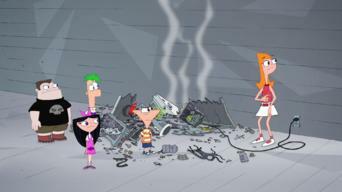 A Phineas and Ferb device splits Candace into two Candaces. / Phineas and Ferb create a sick-day triathlon that they can play from their beds. Phineas and Ferb relive their first day of summer as a musical! Candace and a princess switch places to get a taste of each others' lives. / Candace's small get-together grows into a huge party. Season 3 of Phineas and Ferb has 35 episodes. Because different Netflix countries have different availability for episodes, you'll need to check the episode listing below to see which are available in the Philippines. The boys create a biodome so Isabella can earn a Fireside Girl patch, despite the rain. / Doofenshmirtz's Combine-inator joins Candace and Jeremy. Candace uses boots the boys invented to be in two places at once. / While visiting their grandparents, the kids create giant hot-air racing balloons. 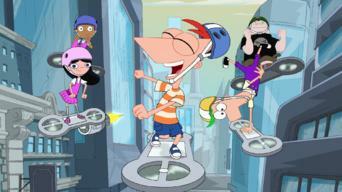 For Phineas's birthday, Ferb and the gang create a clip show. 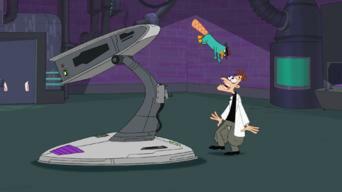 / In another part of town, Perry must stop Doofenshmirtz from using his TV-non-inator. At the Harbor Days Festival, Phineas and Ferb make a mechanical version of the Danville Harbor shark. / The boys decide to take some cows to the moon. The boys invent a supercomputer to answer their questions, but Candace has other ideas. 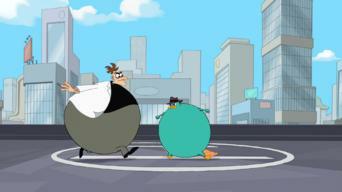 / Perry goes missing from his 100th battle with Doofenshmirtz. When Candace loses her phone, she asks Phineas and Ferb for help. / The boys decide to create a magic carpet to fly around Danville. Candace gives herself a bad haircut. / It's a busy day in Danville, and the gang is trying to make the most of it. Mom wants to spend the whole day with Candace. 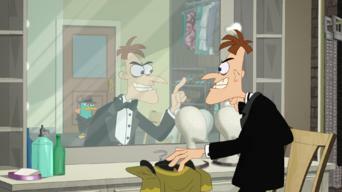 / Doofenshmirtz thinks Vanessa overhears him saying he'd rather have a son to do his evil bidding. Road Trip / Mommy Can You Hear Me? Phineas and Ferb build a truck-stop diner on top of the RV. / When Candace is stuck in bed, Phineas and Ferb try to keep her from getting bored. The kids build a giant version of their favorite childhood game. / Baljeet confesses that he is descended from a long line of bicycle race losers. When Ferb's English cousins visit, they challenge him to a game of soccer, but he and Phineas turn the ordinary football game into super Football X-7. After seeing a horror movie, Candace is sure she's becoming a vampire. / On Halloween the kids meet a strange boy who's certain his house is haunted. The boys decide to create their own language. / Nana's Latke Festival may be ruined when Isabella finds that all the potatoes in Danville are missing. Trying to keep cool during the summer heat, the boys put on a traditional Christmas special with friends and family, plus a few very special guests. In the stone age, the boys decide to invent the wheel. / In feudal China, Phineas and Ferb see Doofus Khan take the Princess Isabella hostage. In this story of Medieval fantasy and adventure, Phineas and Ferb-a-Lot set out on a quest for the legendary sword, Excaliferb. After losing a gift that Jeremy made for her, Candace is determined to recreate it. / Phineas and Ferb infiltrate a massive ant farm. The boys have fun with an escape tower, until it becomes self aware. / Phineas and Ferb create Cheesetopia, and Doofenshmirtz uses the Butler-inator. Perry the Actorpus / Bullseye! Perry wins a contest and becomes the spokesanimal for Totally Tools. / Lawrence participates in the L.O.V.E.M.U.F.F.I.N. Pageant of Evil. When Mom asks the kids to be quiet, Phineas and Ferb created ninja outfits. / Buford accepts a proposal to help win over the Tri-State Area. The boys are embarking on their day's project when suddenly they are attacked by an alien robot! Paul the Delivery Man journeys to Phineas & Ferb's house and Doofenshmirtz Evil Inc. / Phineas thinks it would be fun to suspend trampolines. Mom is out of Doonkelberries for her pie, so the boys set out to find some. / Visitors from France help Isabella capture the American grizzly bear. Phineas and Ferb ask Candace what she wants to do today. / The boys invent a cerebral stimulatory hat to help Baljeet. Doof shows up at OWCA claiming to have had an epiphany. / Ohio Flynn and Rhode Island Fletcher set off to South America to help a damsel in distress. Phineas and Ferb invent a new game: jet-pack volleyball. / Phineas and Ferb create a flying saucer to help solve the mystery of crop circles. Phineas and Ferb create a Perry that can go anywhere and do everything. / Phineas and Ferb invent a world full of giant leaf piles and gourds. Doof's daughter, Vanessa, and Major Monogram's son, Monty, go out for coffee together. Doof turns himself into a platypus to defeat Perry, but finds it's harder than he imagined. 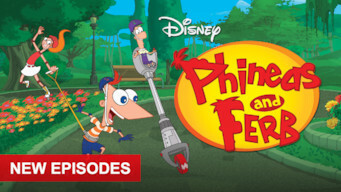 Phineas and Ferb go on safari while Perry stays behind to protect Danville from a new evil. 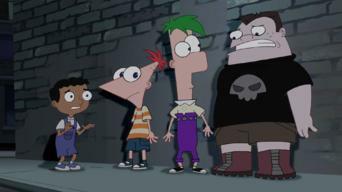 While Phineas and Ferb are on safari, Perry appears with evil Carl, Monogram and Doof in tow! The boys learn that animal celebrity, Crikey the Crocodile, has gone missing. Phineas and Ferb discover that a strange planet is hurtling directly toward Earth. 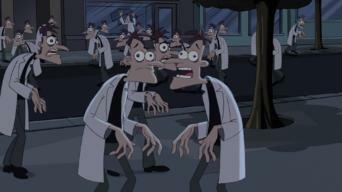 Norm is the host of an odd reality show that looks back at the eventful life of Dr. Doofenshmirtz. Black Out / What'd I Miss? Candace is put in charge of the boys right before the entire city loses electricity. Season 4 of Phineas and Ferb has 38 episodes. Because different Netflix countries have different availability for episodes, you'll need to check the episode listing below to see which are available in the Philippines. For Your Ice Only/ Happy New Year! 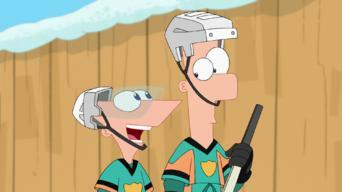 National Hockey League star Luc Robitaille offers his assistance when Phineas and Ferb take an ice hockey game to the extreme. Meanwhile, Doofenshmirtz build an Abominable-inator to make himself bigger, scarier and hairer. Agent P teams up with a former partner, a human agent named Lyla, to stop a hijacked train running along the US/Canadian border. Perry must escape Liam, an Australian platypus hunter who is out to destroy him, rescue ongoing foe Dr. Doofenshmirtz from the error of his ways and maintain the sanctity of the Danville Botanical Gardens. Buford removes a part from a tire swing the boys are building and it accidentally shoots a ray that turns Candace into a fly. 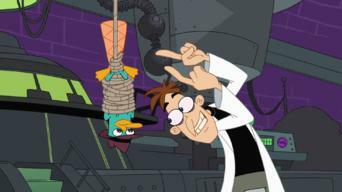 Meanwhile, Doofenshmirtz is suffering from evil scientist's block. After Mom reminisces about old times, the boys make a giant inflatable wading pool. Meanwhile, Candace reveals her "Emo" side, and Doofenshmirtz attempts to become ruler of all bees. Candace challenges Buford to keep Phineas and Ferb's invention from disappearing so that she can sweep in and casually bust her brothers. Across town, Doofenshmirtz has had one too many lattes and is experiencing an extra burst of evil energy. Great Balls Of Water/ Where's Pinky? When Candace thinks Jeremy is bored with their usual hangouts, she sets out to find something unique to do with him. The boys create Rutabaga-themed vehicles when Candace is chosen to be Rutabaga princess and gets to start the "Running of the Chinchillas. The boys set out to prove the existence of the elusive Chupacabra to the world, but Candace can't stand the wait and needs to first just prove it to Mom. Spider-Man, Iron Man, Thor and Hulk stand powerless after being struck by Dr. Doofenshmirtz's power-draining "inator." Once the Marvel Super Villains - Red Skull, Whiplash, Venom and M.O.D.O.K. - find out that Dr. When Linda becomes overwhelmed for organizing a block party, she asks Phineas and Ferb for help. Meanwhile, Norm falls in love with Rodney's female robot. 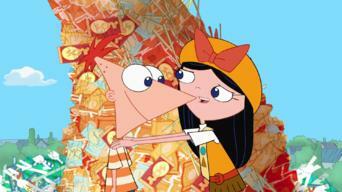 This new episode of "Phineas and Ferb" features three separate tales. Tale One follows Candace as she accidentally conjures up a spell that turns her Ducky Momo plushie into a living, breathing doll that is set on stalking her. After learning about Monty and Vanessa's secret relationship, Carl bribes Monty into helping him get some much needed acknowledgement from Monogram. When Vanessa learns that Doofenshmirtz has inherited a Drusselsteinian castle right next door to her she seizes the opportunity to throw the biggest Halloween bash ever. The boys ask Candace to get Mom if they get stuck in their gigantic reproduction of the Gordian knot. / The gang switches bodies with alien tourists. With Stacy's advice, Candace asks Phineas and Ferb to create an over sized book of her special events with Jeremy for his birthday. While Phineas and Ferb work to stage a big summer concert, Doofenshmirtz is messing with the rotation of Earth, threatening summer's arrival. Doof concocts a new item called a "back-to-the-store-inator"; Phineas and Ferb invent a device that enhances the wind, and tests it with kites. An episode centered on Klimpaloon, the magical old-timey bathing suit that lives in the Himalayas. Doof helps Perry's enemy, Dennis the Bunny, escape incarceration; Agent P tries to stop Doof from sabotaging and winning a big car race. Isabella writes a letter to Phineas to say how she feels about him, but she decides she doesn't want him to read it and tries to get it back. A long time ago, in a galaxy far, far away in summer, Phineas and Ferb are living happily on Tatooine, just one moisture farm over from Luke Skywalker. Flashback: at the 1903 World's Fair, kids are excited about the unveiling of steam-driven machines; Isabella plans a picnic for Phineas. A capsule falls from the sky and lands right in Phineas and Ferb's yard; Doof gives a seminar, while Phineas and Ferb hold an interplanetary race. Doof accidentally turns everyone in Danville into zombies, who wreak havoc in the town. Agent P and the kids try to avoid joining the legion of the undead while saving Danville from being overrun by Doof-zombies. 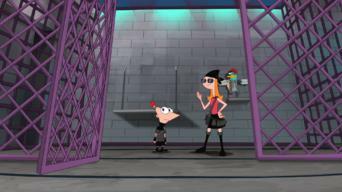 After defeating the alternate Doofenshmirtz, Phineas, Ferb and Candace work together to defeat a new threat to the 2nd Dimension. Doof is forced to become a science teacher at Danville High as punishment for being evil; Doof tries to track down a meaningful lawn gnome. As Phineas tries to decide where he wants to go to college, he learns something that makes him want to talk to Isabella before she leaves for college. As Phineas and Ferb get to work on their most epic invention yet, Candace's efforts to bust them send the day spiraling out of control. With Phineas and Ferb stuck in a void, Candace races to stop the ever-shortening time loops and Dr. Doofenshmirtz has a sudden change of heart. A training exercise shows that Agent P and the gang lack teamwork skills. They must band together when robot fleas take control of O.W.C.A. 's agents. After an attack on O.W.C.A. (Organization Without a Cool Acronym), Agent P teams up with his old nemesis to find a supervillain's lair. As robotic fleas turn the agents of O.W.C.A. 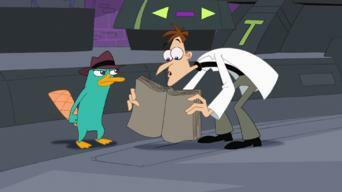 evil, Dr. Doofenshmirtz tries to rescue Perry and Professor Parenthesis reveals his wicked plan. The giant lava lamp turns out to be a trap. Dr. Doofenshmirtz attempts to rescue the team, while Professor Parenthesis reveals his diabolical plan. Want to learn how to get American Netflix in Philippines?